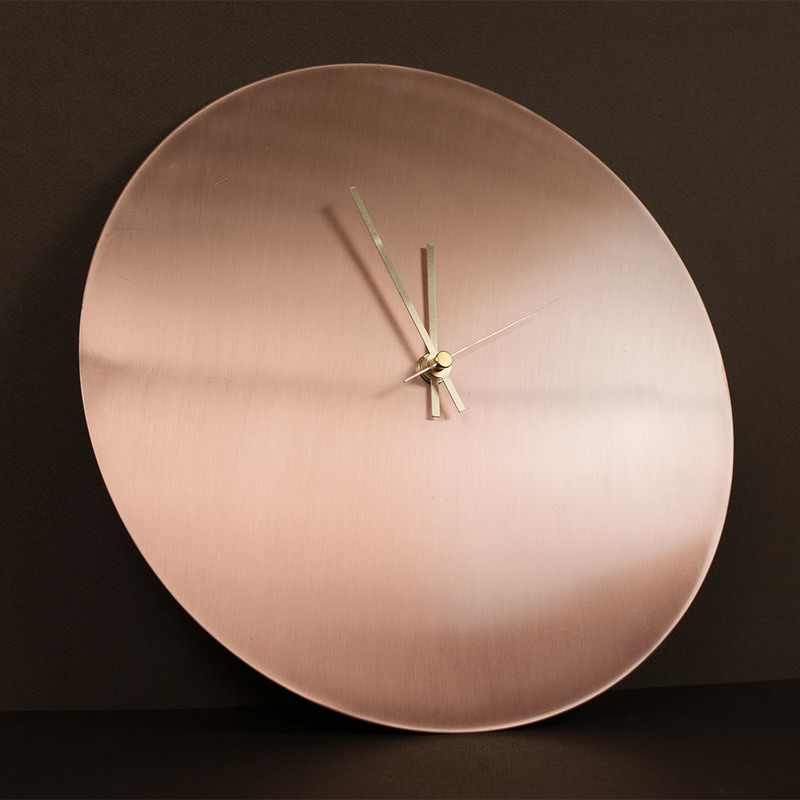 Leonardo da Vinci once said, �Simplicity is the ultimate sophistication�. 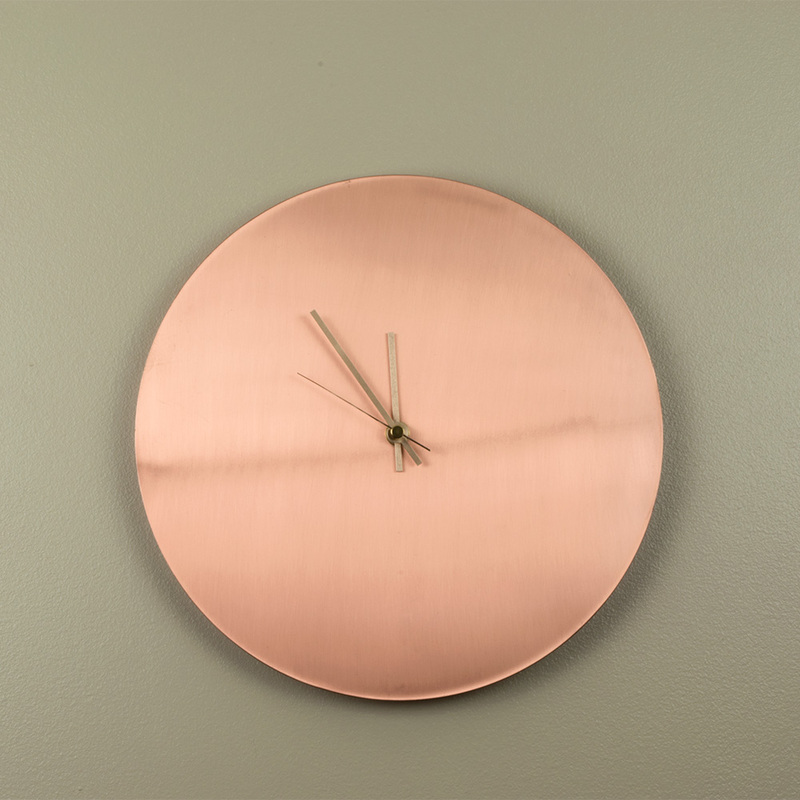 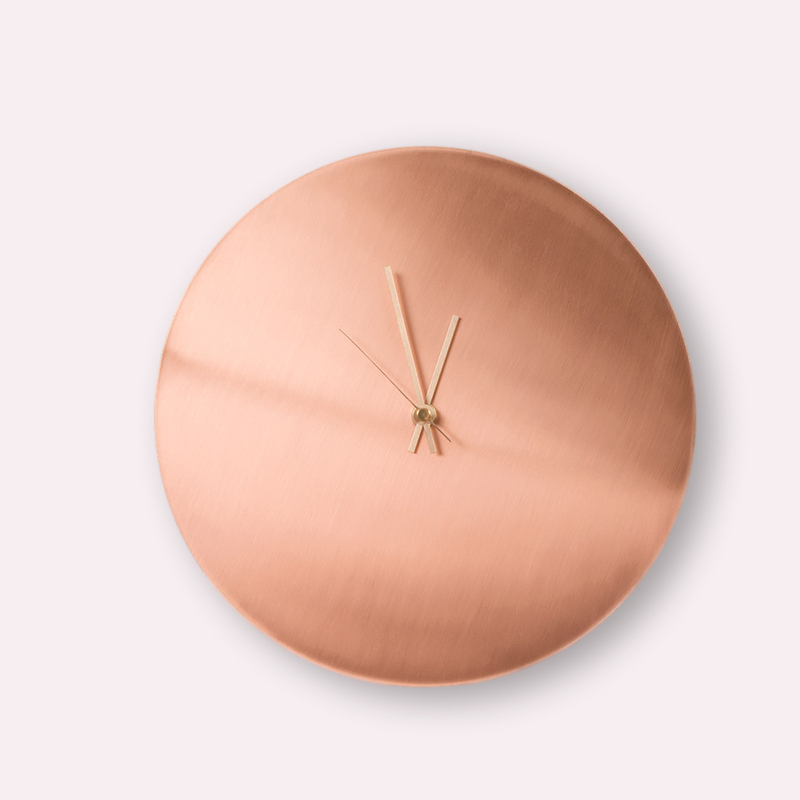 Our copper wall clock is the result of handcrafting this beautiful simplicity while utilizing only pure, traditional materials such as pure copper and pure brass. 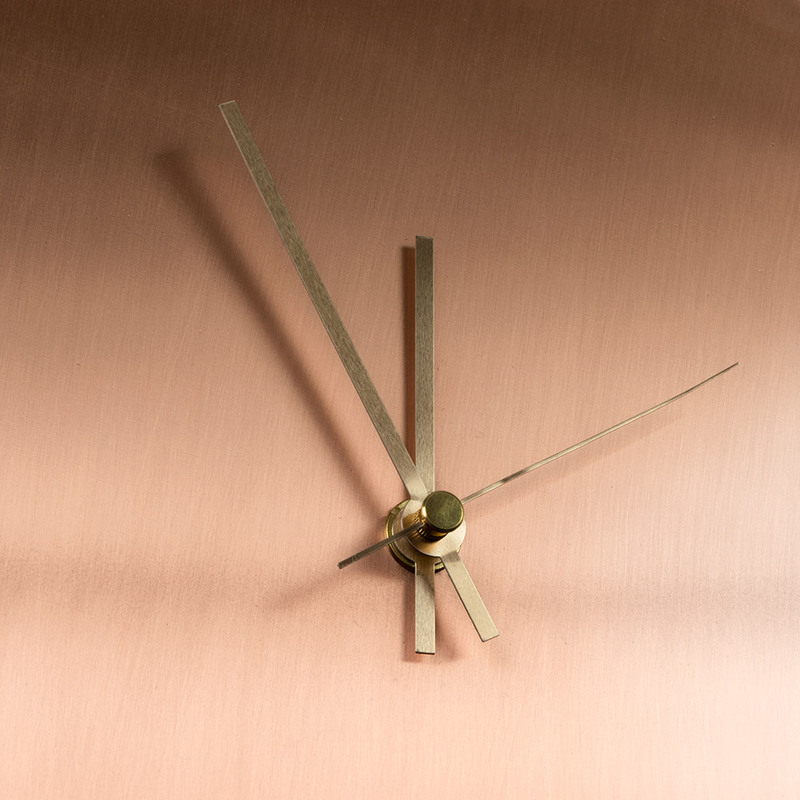 From the cutting of a perfect circle, polishing the face of the clock to carving out the hour, minute and second hands, every single step is done by hand in our little workshop in the Italian alps. 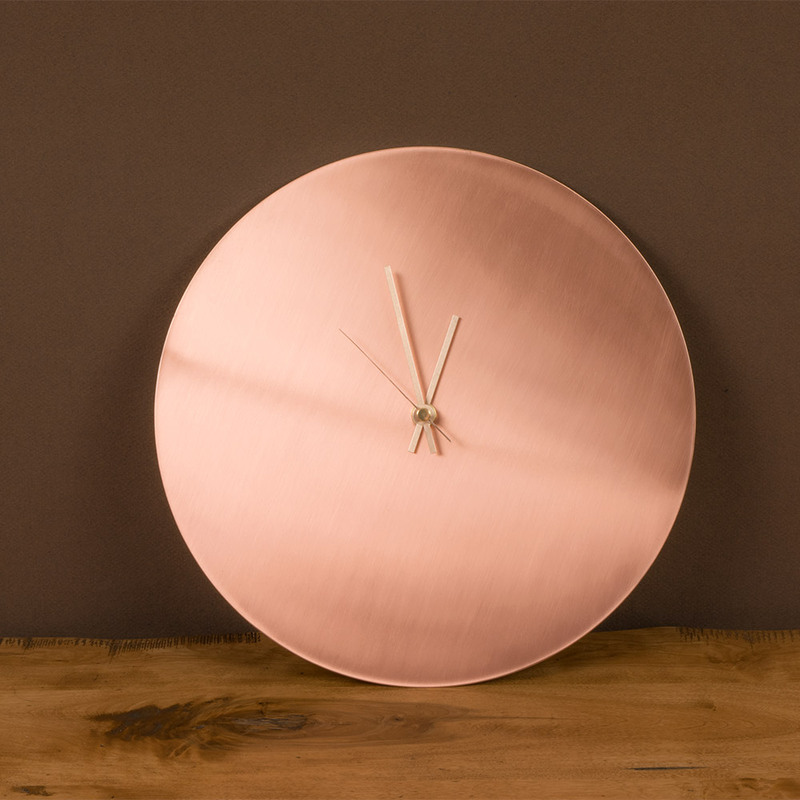 The 100% pure copper, despite its classic matt polish, beautifully reflects the color tones of its environment. 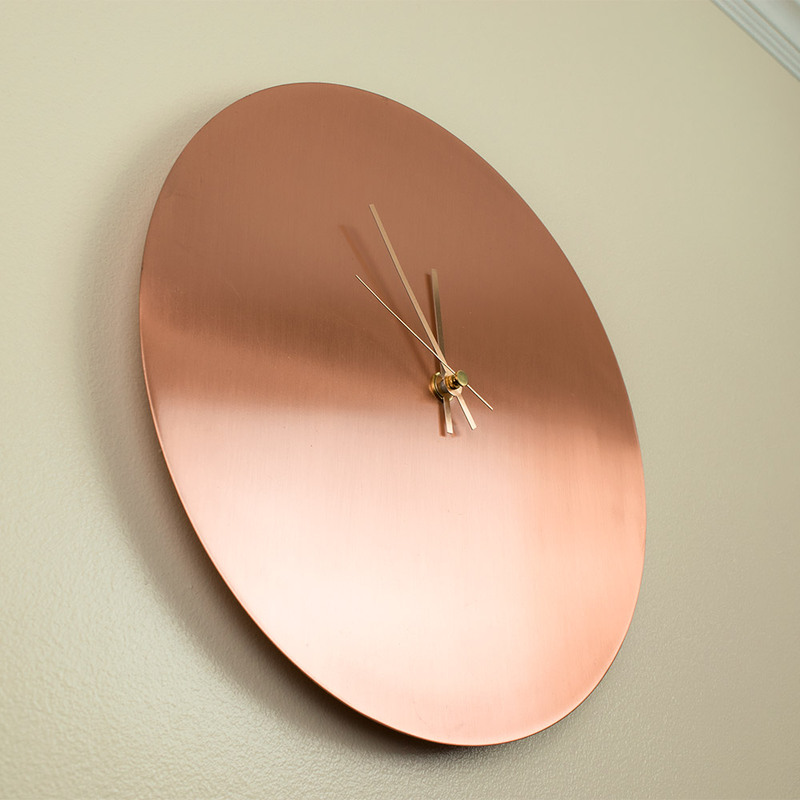 Enhancing the warmth of a room as much as a cooler design, giving it a clean and unique perspective from every angle.